Art Projects for the First Week of Pre-K or Kinder! 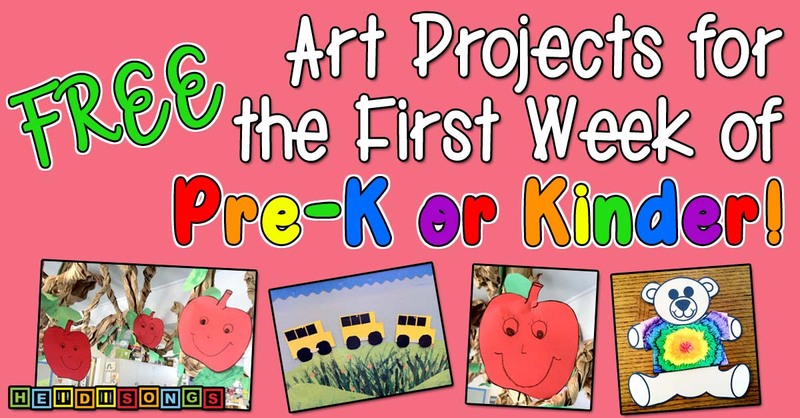 Here are some art projects for the first week of Pre-K and Kindergarten that I think you and your kids will enjoy! They are all here for you to download FREE, so I hope that you will use them in good health, and let your friends know where to find these free art projects for K and Pre-K as well! I don’t know when all of you start school, but it always seems like summer is over in the blink of an eye and then the first day is here. I’ve been wanting to share these first week art projects with you for a while, and this seems like a good week to do it! I honestly don’t know where most of them came from originally; they were passed down to me from “the teacher that came before me.” All I did was clean them up a little so that I could pass them along to you. I hope you enjoy them. I have more that I plan on posting over the next few weeks, so if you haven’t signed up for the updates, you might want to do that! I’m also hoping to blog on what I do during the first week of school as I train my students to just “be” in school. I hope that you find the other information useful, too! Also, do you know how to search this blog for other information that you might need? There are a lot of different topics (not to mention freebies!) that I have posted over the last year in particular that you might find useful if you are just joining us. All you have to do is scroll down until you see the words “Search This Blog” on the right hand side. Let’s suppose you want to search for ideas on sight words, so you type in the words “sight words.” Then press “Search.” Now scroll back up to the top of the page. You should see a list of blog entries on sight words. If you click on any of the blue highlighted titles, it will take you to those blog pages. At the bottom of the search, you will see that there are eight different pages of entries to look at where sight words are mentioned, so you can click through all eight pages and pick which ever entries you want to look at. The most relevant entries are supposed to come out at the top of the search. 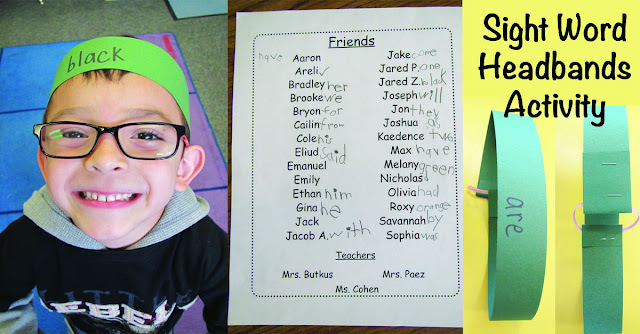 This is a wonderfully simple project that is always a hit with my students, no matter what! Plus, it makes a great bulletin board as well. There’s not even very much cutting that the children have to do, because most of it is pre-cut squares and rectangles. They just cut out the inset where the window would be, snip off the corners of the squares that will form the wheels, and glue it all together. 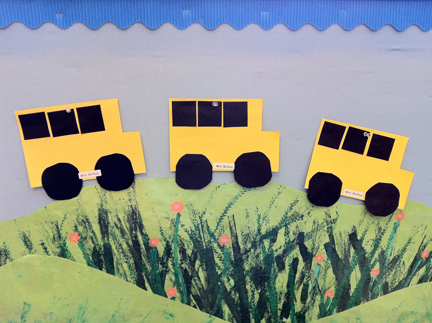 No matter how the buses turn out, they always look cute on the bulletin board! To download the pattern, click here. For info on making the flowered background that they are stapled on, see my blog from March 2011: We're Bugging Out All Over!. I like this project because you can really get a good glimpse into your new students’ visual perception skills based on how they are able to put those buses back together. Plus, once you get them stapled up on the walls all in a row, you’ll have a very good visual image of how your students compare in this area. I like to have them up for Back to School Night so that parents can see them also. 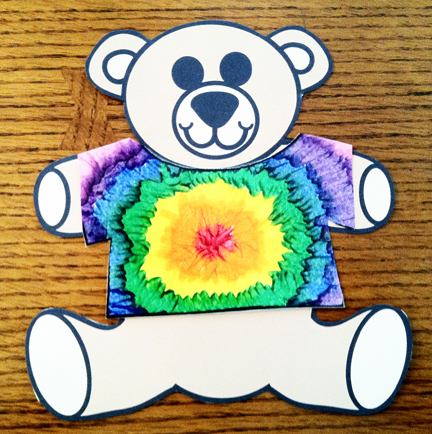 Each year, I have the children decorate a T-shirt for my helper bear that I keep on my wall. Then I laminate the shirts and put a name sticker on them. Each day, I choose one shirt from the stack and paper clip it to the shoulders of the teddy bear cut out that is stapled to the wall. The child whose name is on the shirt gets to be the helper of the day, of course, and helps with anything at all that I need. That child also gets to be the line leader. To download both the bear and the t-shirt, click here. 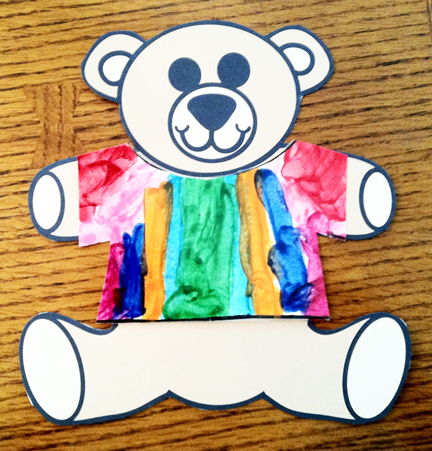 To make the shirt, simply copy it on white cardstock so that it will be nice and sturdy to clip on the bear all year. You can let them color it with crayons or paint it with water colors, or do anything you like with it! The only thing I do always tell the children to do is to try to cover the whole, entire shirt so that there is no white part left on it at all. The sample shirts that you see in the pictures were made with a set of oil crayons called “Smooth and Silky Art Sticks” that I got from Discount School Supply a few years ago. They slide on nicely and the colors mix well; however, they are quite messy, so keep some baby wipes handy! They really do get all over the children’s hands, faces, and the tables. They do look exceptionally beautiful, though, when laminated! And trust me, laminating is totally necessary if you want to be able to touch and use the shirts and they were decorated with this type of crayon or you’ll have it all over your fingers every time you change the shirts, too. By the way, you can get the same kind of color mixing effect if you use regular crayons on a hot plate, but then each child will need one-on-one adult assistance when using it to make sure that they do not get burned. It seems as though just about every Kindergarten classroom has a tree, and mine is no exception. I tried to give my tree lots of vines, and I wind up adding more each year during our zoo unit so that monkeys can be hanging from them. But in the fall, apples are on those branches, of course! I have had the children make apples two different ways. The first is simply by giving them a rectangle and having them cut off the corners to form a circle. Add a green leaf and it will look like an apple when you put it in a tree! The other way to do it is to xerox an apple shape, have them trace it and cut it out, and then hang it up. I like this way best because it winds up looking more like an apple. But the first way also works fine, especially when the xerox machine is broken! To download my apple pattern, click here. More Art Projects for the Beginning of the Year. The vines are long pieces of butcher paper that are cut about six inches wide and then twisted and squished. They are stapled to the ceiling, because the ceiling on that side of the room is low and very old. It doesn't have the bars that you need to hold those Grid Clips up that I talked about last week. I do a Zoo Unit at the end of the school year, and then I lower some of those vines, and always add some more of them, so the tree looks a lot more "jungly." Also, we change the leaves to be much bigger so that it will look like a jungle tree as well, rather than an apple tree. Then our monkeys go up on it! Of course, in the fall, the green leaves come down and we put up our fall colored painted leaves, etc. Just wanted to thank you for being so realistic with the answers you give to the questions that are asked. I also appreciate all the time you put into your blog! You are welcome. Honestly, sometimes I think that they set us up to fail with the programs they give us all of their requirements. I have yet to see any of these programs come with a way to actually MANAGE the class built into it. They expect the rest of your class to disappear while you teach those small groups, I guess. What are they thinking? Are the vines you describe here the tree you're referring to? I've never had a tree in my room but like this idea. Yes, the vines I am describing here are just the tree branches. We change the tree with the seasons, including putting fall leaves up in the fall, and pulling all of the leaves off in the winter and putting up snowflakes instead. And later we add small leaves and some blossoms in the spring. Then at the end of the year when we study zoo animals, we make it a jungle tree by giving it a lot more low dangling vines and larger leaves, plus lots of monkeys hanging on it. Heidi- I'm curious that how much prep time you have at your school. 4 45 minute preps sounds great to me! I have 30, 4 times a week and 45 once a week. That equals to be slightly less than 4 45 minutes, and personally I'd rather have the 4, because the only one I get anything done during is the 45 minute one. 30 minutes is basically enough time to drop them off, pee, maybe check my email and then pick them up again haha. I do most of my work before/after school- just curious what others do! On Thursdays, though, we have a school-wide Compact Day, so the entire school dismisses at 1:15. Twice a month we have to go to meetings or trainings, but on the other days we get prep time, so the longer blocks of time are truly helpful. We get extra prep time on Friday afternoons during the first two trimesters, because we are not required to keep anyone for after school tutoring on those days, too. (During the first two trimesters the whole class is dismissed at 1:20, but we are required to keep small groups of kids for tutoring from 1:20-2:15 on Mondays, Tuesdays, and Wednesdays.) Thursdays are always kept open for the Compact Day, and then Fridays are ours for prep and collaborative planning. We just get gypped out of the Friday prep during that last trimester, darn it anyway! Otherwise, the prep schedule is very nice. The bummer is, of course, that we have no "specials" whatsoever. Nobody comes to relieve us of the students at all during the day, ever. And that's just the way it is! we have 1/2 day instead of full day schedules and its really confusing trying to figure out how to fit everything in. tues. - fri. i have my 2 groups of kiddos from 9:15 to 12 and 12:45 to 3:30. (about 1 hour less on mondays and you use the time instead for faculty meetings and collaboration with your teams.) one session of the two has specialty once a week for 30 min. so thats all the prep time we get during school. do you have any suggestions on how to structure my days/schedule to help me fit all the literacy, math, science and social studies, centers, etc in? Thanks for putting so much time and energy into this blog. I love it!!! I'm looking forward to tips on helping the new kindergarteners "be" in school. Kindergarten is so different from the other grade levels in my opinion because they come in so... "raw". Our first student day is the 25th this year. I'm getting excited! Well, that sounds really hard, too! I taught half day Kindergarten for about ten years or so, and the day went by so fast, I felt that I barely saw the students before they went home. But I was luckier than you, because I only had to teach the afternoon class, and then help out with the morning class. 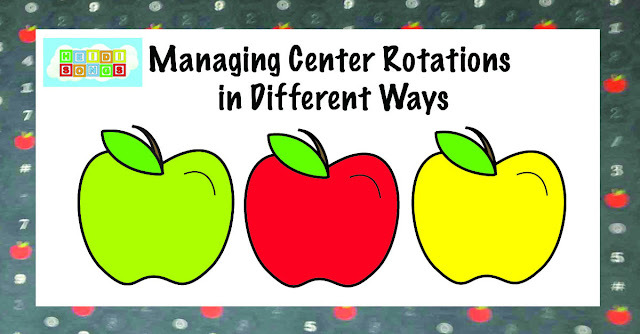 All I can say is that it was like doing the rotation that I describe, but with strict 15 minute rotations, and then only 15-20 minutes of playtime. The kids rarely got anything more than stories read to them for science or social studies. They were very lucky to get an occasional science experiment thrown in there for fun. Playtime didn't include lots of messy things, because there wasn't time to clean them up before the next group was on their way in. Everything was quite rushed, and getting the kids tested was nearly impossible. We just about quit teaching at our centers for a month so that we could get them tested during that time instead. Luckily, the AM teacher helped the PM, and visa versa, and that's how we got everything done. The upside was that even the squirreliest of children stayed so busy that they didn't seem to find the time to misbehave too much. I do like our current schedule, in which the children stay from 8:15 until 1:20. That is quite do-able for most of them! It gets a lot harder for many of them to maintain their self-control after that point, I've noticed. I think you will have to let yourself off the hook for a lot of things, given the time constraints that you have. You are not superwoman, so do what you can and let the rest go. 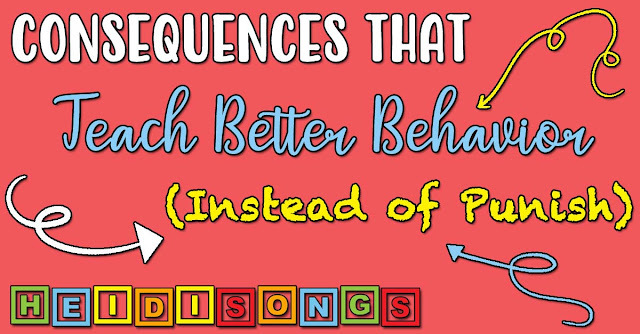 I am a newbie blogger (who actually briefly said hello to you at iteachk, right before Dr. Jean spoke, but wasn't able to find y'all in time for lunch)...but just wanted you to know I put a link on my latest post to your number pattern block sets. :) Thought you'd want to know! Thanks again for sharing all that you do! Thank you so much, Beachlies!!!! It was nice meeting you, and I am so sorry that I missed you for lunch! Thank you so much for the bears w/ shirts. I am doing a teamwork theme w/ sports decorations. My school has decided to give each class an animal name (instead of a number). My animal, bear. So, I will have our first family project decorating the bears and shirts their family favorite team. I made the images smaller, so, I can glue them onto clothspins to hold the children's art work in the hall way. I have a tree in my room also. 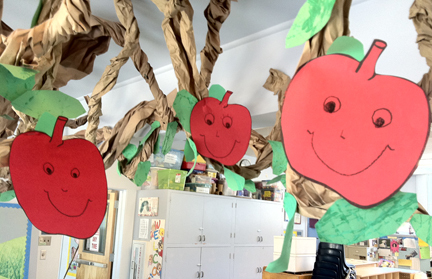 I read the Giving Tree and every child makes an apple to put in it. I tell them the apple stands for all the help they give me and each other. 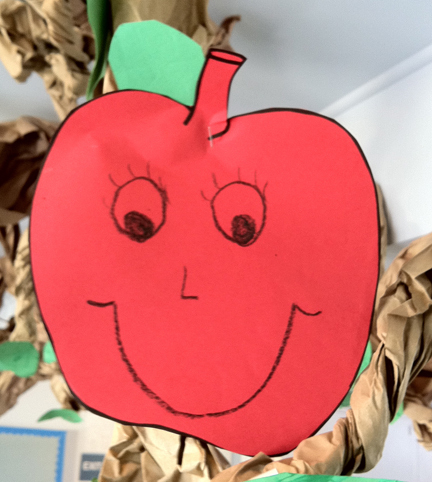 The rest of the year children get to decorate a apple with their name on it to put on the tree every time they bring a classroom snack, art supplies, party supplies, and all the other miscellaneous used household things we ask for. It helps to reinforce the joy of giving. The kiddos love it.